Today I was glad the girls were on their best “beehavior” as the Derr clan came out to pay a visit. Nobody got stung, and it hopefully was an educational experience for all. 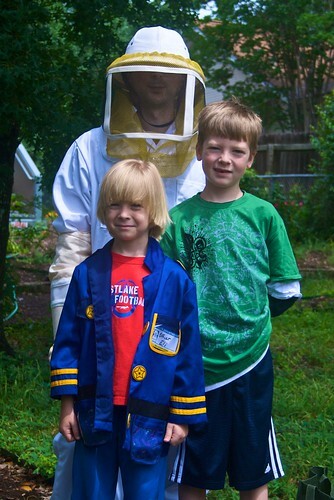 I myself learned that I need to see “Bee Movie” to complete my training as a beekeeper. yep – ‘bee movie’ is a must!